Achieve pizza nirvana with the Simple Kombucha Sourdough method – the simple, fast and easy way to make the perfect sourdough crust. Learn to use kombucha sourdough to create heavenly pizza crusts – a perfect bread for beginner bakers to sink their teeth into, and for experienced bakers to test out a new technique. 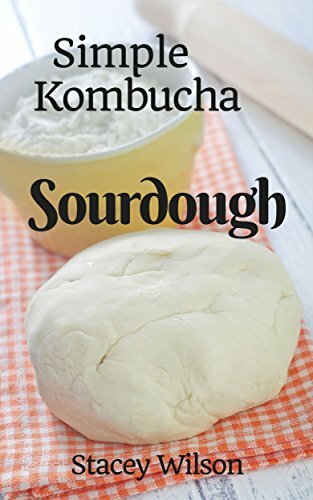 Discover the basics of sourdough baking, find out about kombucha and how it can help, and gain the skills and confidence to make your first sourdough pizza crust with this novel method. Whether you are a kombucha fan looking for something new and cool to do with your favorite drink, a baker of breads looking for a novel recipe, or someone who is interested in fabulous pizza, this book will tell you all you need to know to get started with your own kombucha sourdough pizza base. If you have a basic kitchen, with standard equipment, you have everything you need to make terrific pizza.